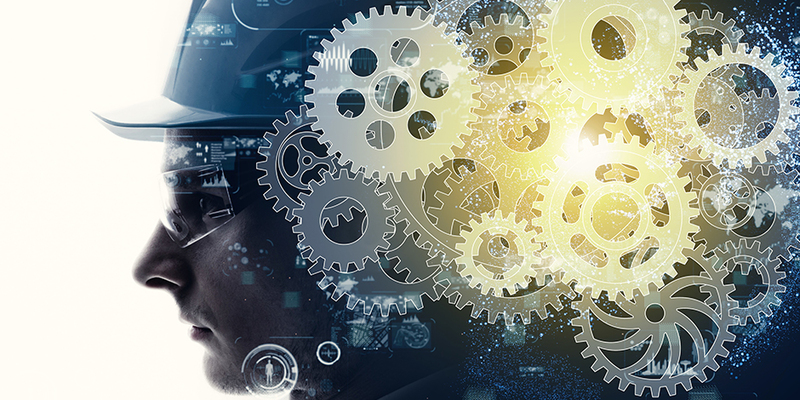 Toward "Future Factories That Continue to Grow with AI Technology"
"Achieving zero defects while saving manpower by utilizing maximum equipment functionality." In an attempt to support an "ideal factory" for a future as envisioned by people in the field of manufacturing, OMRON has created the industry's first "AI-equipped automation controller," with AI performing real-time control. 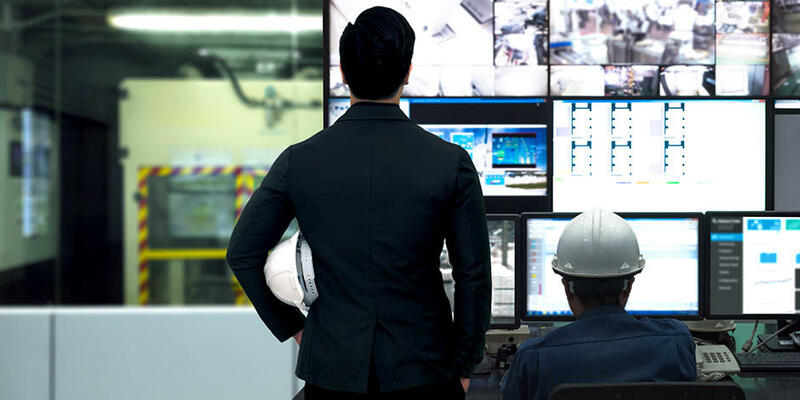 The industry's first AI-equipped automation controller enables real-time control of production lines and devices by combining AI with the programmable logic controllers (PLC) running those lines and devices. By turning explicit knowledge, such as the intuition and experience of skilled workers, into tacit knowledge to detect unusual device conditions with great accuracy at ultra-high speeds, this controller can instantly prevent any negative impacts to product quality, or that could result in facility shutdowns. What path has this industry's first development project followed? The development of our AI-equipped automation controller started in April, 2016. "I could imagine how difficult it would be to deal with this project," recalls Takamitsu Kasai, product manager of the AI-equipped automation controller. What they envisioned was a "future factory where people and machines grow together," that will maximize performance, not shut down, and prevent defective products. "So the first thing we did was decide where our starting point would be," says Shinosuke Kawanoue, a member of the project team. The first step they took was defining "AI" to their own understanding. The next step was to discuss where AI should ideally be installed. Kasai explains, "Image and voice recognition systems, which we hear a lot about these days, use a cloud environment equipped with an AI engine. But we didn't follow this trend. Instead, we decided to install the AI engine in the controller at the equipment layer of the factory floor." The decision to install AI in the equipment layer was based on a clear-cut objective. For example, a smartphone usually uses a cloud platform for voice recognition. 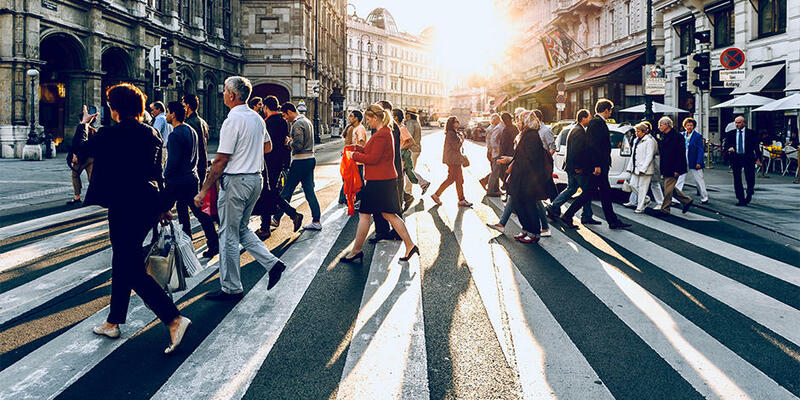 There is a slight delay in the output of information, but this is undetectable for most users, because the amount of data exchanged via smartphone is extremely small. By contrast, a huge amount of information of varied types is exchanged on the manufacturing floor. Moreover, every second counts in manufacturing, so data may not be ready in time if it is stored in the cloud. "Today, many people think AI should be installed in the cloud, and we were asked, 'Why don't you use the cloud?' And actually, both the cloud platform and equipment layer have their respective benefits. It took a considerable amount of time for people to understand that," Kosuke Tsuruta remembers. "It was also essential that factory workers would be able to use it easily. So we faced some really high hurdles." From the start, they didn't have any previous examples to follow. As such, according to the team members, many contrary opinions spouted out from various sectors, even after they determined the basic direction for the development. For example, one person wondered whether it was "even possible to develop such a product for OMRON, a sensor specialist," while another person worried that "factory workers may not be able to use such a controller equipped with AI effectively." Also, one customer, who was their collaborative partner for this project, had similar views. Kasai says, "So, we asked them, 'Why are you still listening to us if you keep coming up with objections to our ideas?'" The partner's answer was: "The reason is that we don't know any other company who has as close contact with our factory floor as OMRON, and that is persistent enough to carry through with our demands to the end." Over many years, OMRON has built strong relationships with customers by sincerely addressing their issues and requirements. 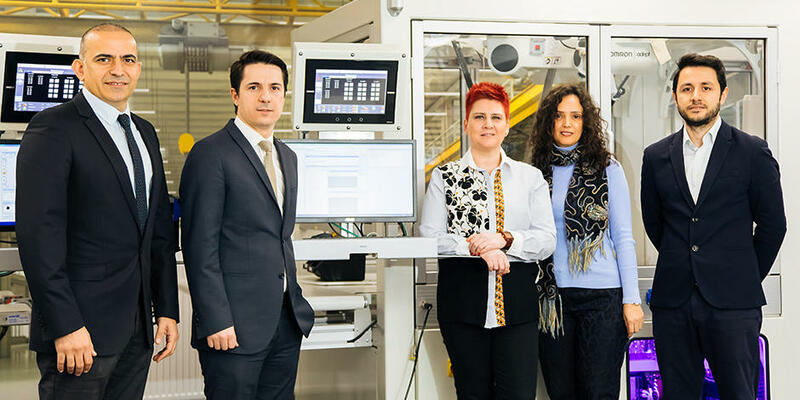 This attitude, along with OMRON's advanced technology and expertise, allowed the company to develop strong expectations and earn trust from their customers. "It's meaningless if we are simply swayed by trendy words like AI and IoT. We had to make something that holds real value," stressed Kasai. He and the other members brainstormed repeatedly to come up with a concept that could more deeply resonate with their partner. Their brainstorming sessions continued for several months, at a pace of two or three times a week. Then, although slowly, Kasai's team's enthusiasm spread to their collaborative partners, and they eventually started saying, "We will prepare sites for verification. Let's take on this challenge together." Finally, the sections involved were united and they vigorously pushed forward on this unprecedented project. According to Mioki, "There was a turning point--when it became possible to deploy a packaging machine for verification purposes. We tried, made adjustments, and tried again. We repeated this process over and over. Eventually, we noticed that we were able to verify the solutions for the leading manufacturer's issues with verified technology by using this machine. In this way, an apparent outcome emerged." "learning and evolving at intelligent manufacturing sites"
"The most important thing is what we want to achieve with our product. A decline in manufacturing capabilities will also cause a decline in people's living standards. We have to keep in mind that we are manufacturing products that help improve people's lives." He concludes, "Our goal is not to make the best product in the world. Rather, our goal is to envision the emerging needs of the future and create innovation driven by social needs." Collaborating with a partner and putting together the knowledge available in-house, and relying on external resources for what is lacking... These ideas seem simple on paper, but at their core is an unwavering commitment to accomplishing this project. 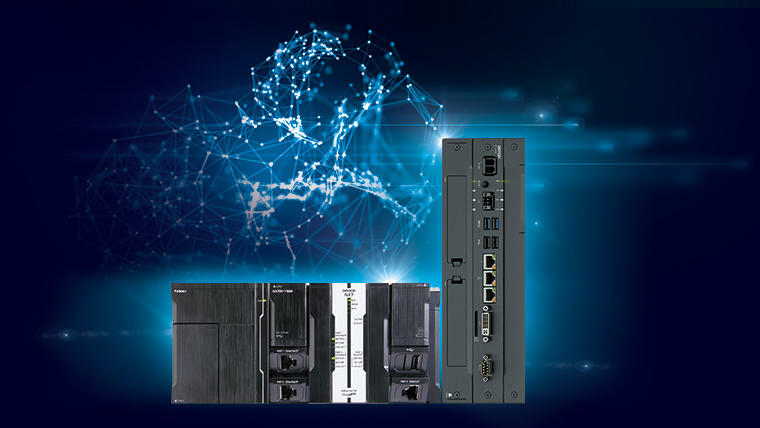 OMRON's AI-equipped automation controller will continue to evolve further, and bring about new benefits to manufacturers throughout the world.